November 28, 2014 by Ecommerce News. About Marketing, Online store with tags The United Kingdom. 4926 views. Today it’s Black Friday, the unofficial start of the holiday shopping season. It’s also the day many retailers use to offer special promotions and spectacular discounts to their customers. It started in the United States, as a lot of non-retail employees have both Thanksgiving and the day after off, and went for shopping on this Friday. But as American retailers have expanded their business to Europe, Black Friday is embraced by an increasing number of European retailers. One of the initiators may be Amazon, who introduced Black Friday to its UK consumers in 2010. And when Amazon introduced this trend, many European retailers have been practically forced to compete with Black Friday online shopping offers, as CNN wrote. According to Alastair McCaig from IG Group this is no surprise. As online retail is a global phenomenon, the trends of other regions have been more easily assimilated. Online ecommerce giant Amazon has opened a special section on its UK site, emphasizing the Black Friday deals to its customers. Among the things being sold, there’s up to 60% of diamond jewellery, a Philips electric shaver that’s 66% lower priced than before and an Invicta watch that once was £207.5, but now costs £49.99. 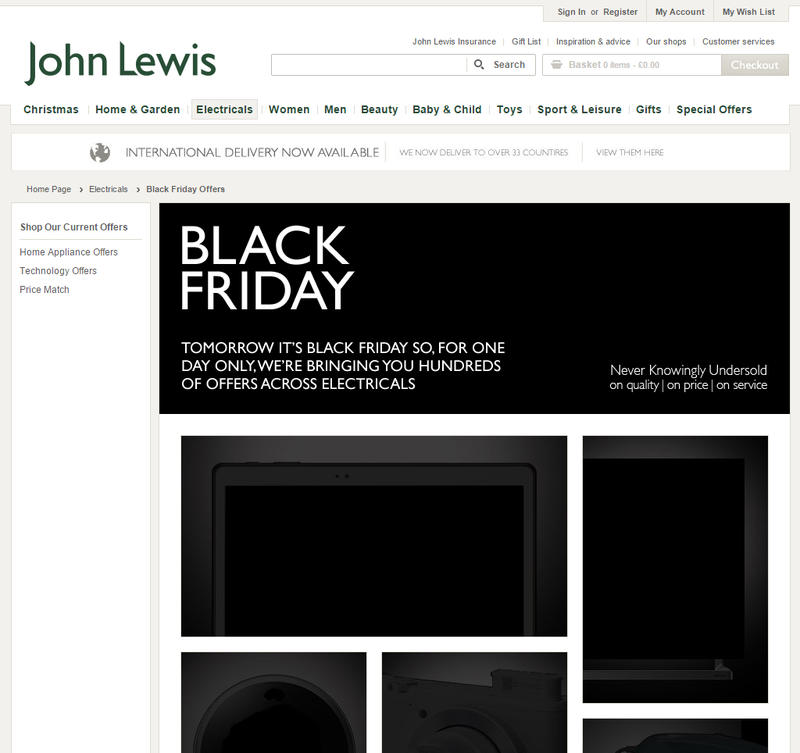 But as The Independent writes, not all retailers will be doing something with Black Friday. “Upmarket department stores Selfridges, Harvey Nichols, Harrods and Liberty won’t be taking part in such tawdry activities”, the newspaper writes. Luxury brands won’t jump on the discount bandwagon, because Black Friday seems to have its focus more on discounts and promotions in the consumer electronics industry. Based on a report by Visa Europe, today will be the biggest ever online shopping day in the United Kingdom. About 450,000 euros will be spent on Visa cards every minute; that’s equivalent to 7500 euros every second.